The program duration of the master course is 4 semester in which 120 ECTS points must be earned. 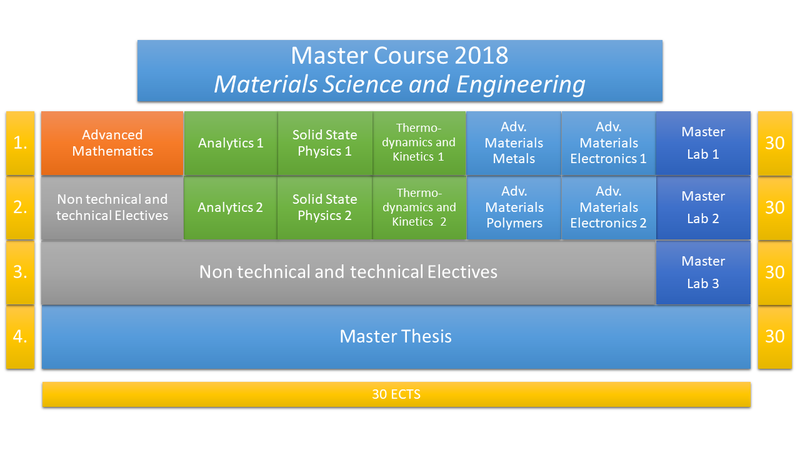 In the first two semesters the basics in natural sciences in the field of solid state physics, thermodynamics, kinetics and of course mathematics is repeated and iterated to the higher level of master candidates. Parallel the knowledge in practice and analytics is developed in lab courses and analytics lectures. The broadened knowledge in materials science is taught in the basic fields of metals, polymers, ceramics and electronic materials. 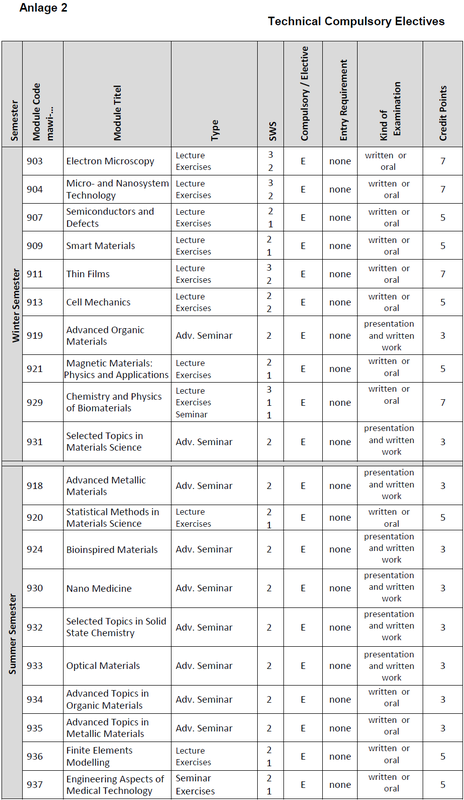 The third semester is a window for elective modules. In this semester the candidate is possible to intense his knowledge in a certain direction. Additionally it is possible to stay at a foreign university because no compulsory lectures are needed. In the fourth semester the master thesis is worked out at the university or a company attended by the institute. 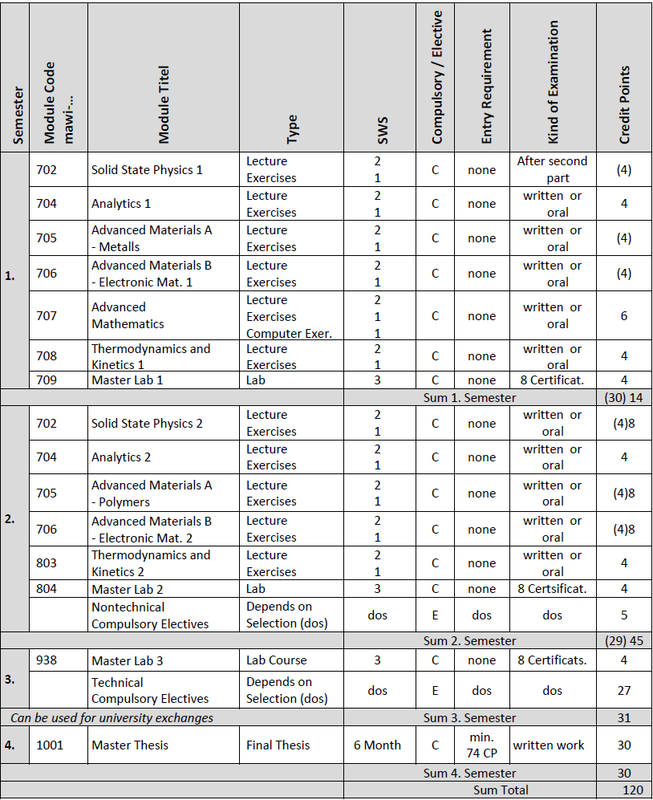 The following survey shows all compulsory and the most elective modules for this master course with all needed details. Actual information and deeper information about the modules you will find on the web pages of the service center.